Do you have a need for speed? Take the EMT Speed Challenge. Take the EMT Speed Challenge: Coins, Medals and Dog Tags! Production time for Challenge Coins and Medals: 8 Working Days! Production time for Dog Tags: 5 Working Days! Purposes: Die Cast Speed Medals are produced in just 8 working days or less and offer recipients a memento of achievement that will last for years to come. They come with an optional red, white and blue attachment. Objective: One state academy wanted to offer medals for the respective 1st, 2nd, and 3rd winners in a Forensic Science Competition. The Forensic Science Competition, for middle and high school students, provides forensic science teams the opportunity to showcase their investigation, analytical and presentation skills. Award winners also receive recommendations and scholarship funding. Strategy: This is a Forensic Science program, which combines science and law to provide students with the opportunity to develop skills in both fields through the application of crime scene analysis, evidence gathering, critical thinking, and communication and presentation skills. Students are able to engage in practical experience of applying the law and science to a real life scenario. In addition, this program allows the academy to pull out top scorers and students more inclined to advance in forensic studies. 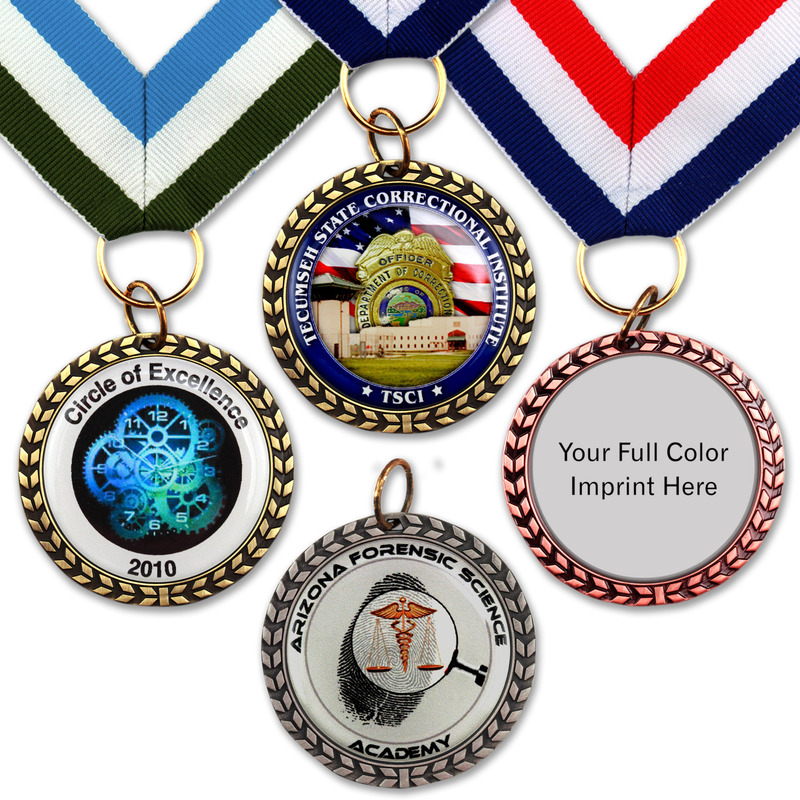 Includes full color image with epoxy dome on both sides Medal size: 1-3/4″. Image size 1-7/16″.